Ailsa’s Travel Theme this week is: “DRY.” Themes inspire others to share thoughts and/or images of common subjects. 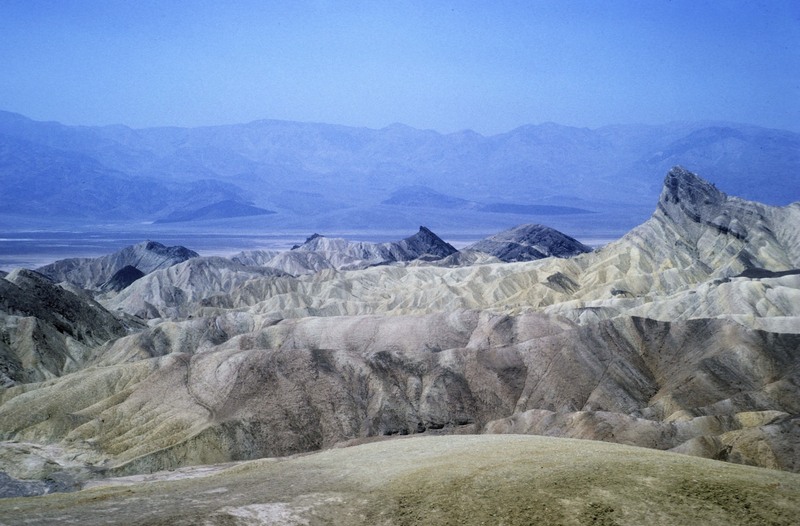 Above: Death Valley National Monument, California, as we visited few years back. Specifically Rt. 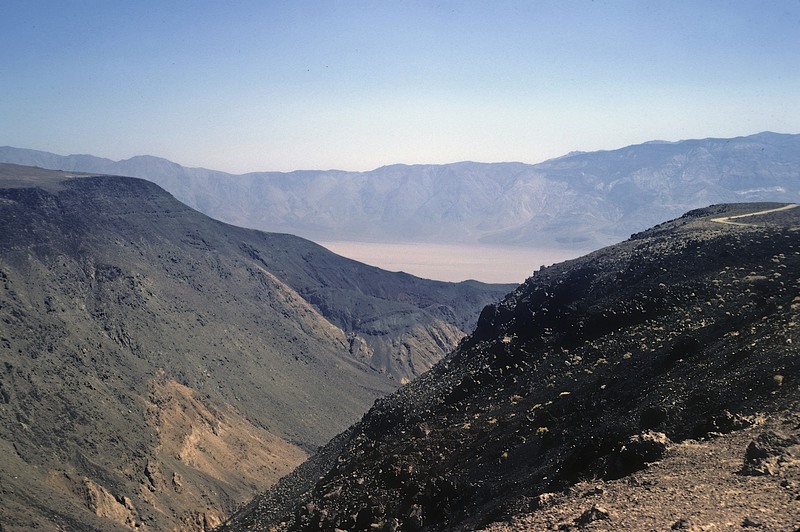 190, descending east into Panamint Valley. Hot, desolate, foreboding, inhospitable, and … DRY AS A BONE! Break down here, and you better have a lot of water! 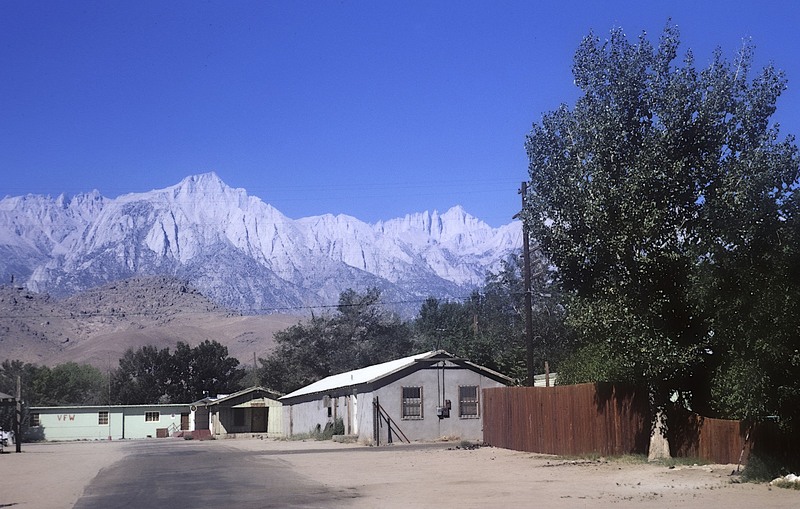 Towns and features in this vicinity: Lone Pine, Stovepipe Wells, Furnace Creek, Badwater Basin, Funeral Mountains; and below, on the western side…, lonely Zabriski Point. Thanks for viewing. Comments and “likes” are always appreciated. it looks desolate MV, such harsh country … love the subtle colours. Nice post! 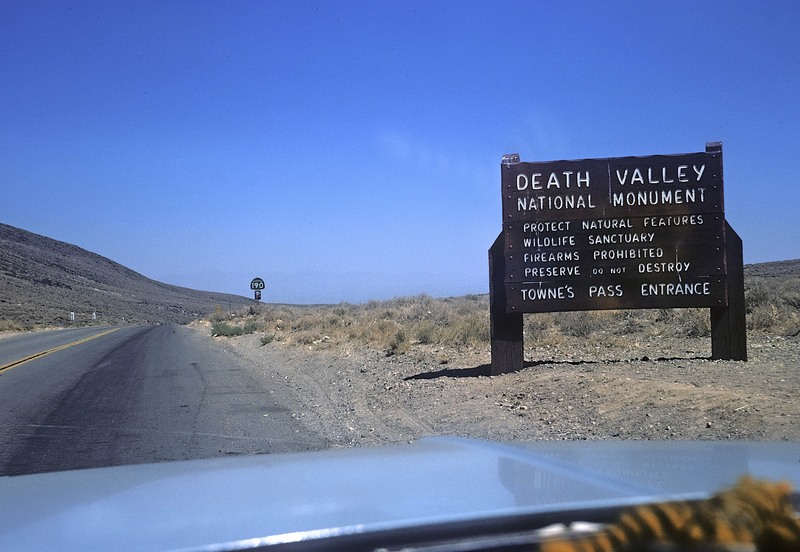 I have never been to Death Valley. Must get there before long! We had a flat tire in Death Valley!! We also has plenty of water. Camped overnight and when we woke up at 5:30 am it was already 97 degrees. It truly is a wonderful place!! Did you fix the flat yourself? or have assistance from park rangers or others? I can just see the buzzards circling! Learn something new every day. I’m referring to the high-low points. 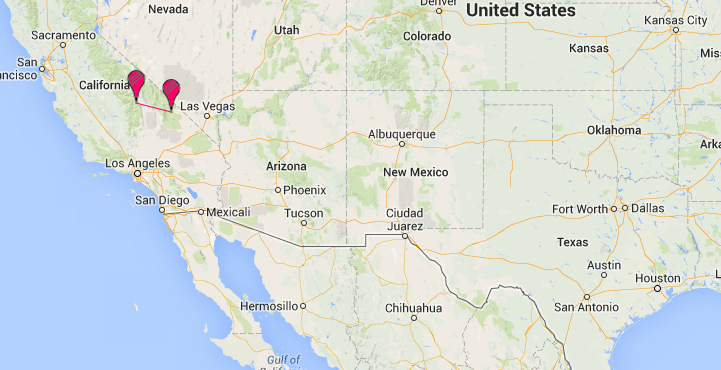 That area is one we have not traveled to yet. Also want to see the sequoias and redwoods, and . . . well, a lot of stuff. Probably worth a trip sometimes soon. The extreme temperatures hit when we were in Rt 66 indeed. We were lucky to have a good car….